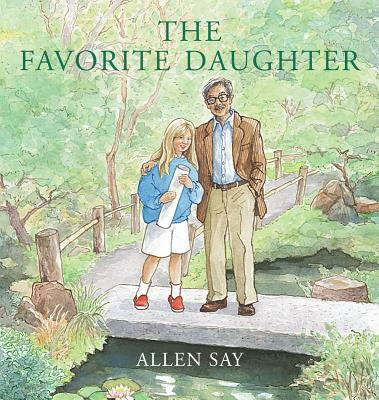 A father helps his daughter find pride and inspiration in this masterful picture book. Yuriko hates her name when the children make fun of it and call her "Eureka!" Though she is half Japanese, the teasing makes her want to hide, to retreat even from the art projects she used to love. Fortunately she has a patient, kind father who finds gentle ways of drawing her out and reminding Yuriko of the traditions they share that have always brought her joy: walks in lovely Golden Gate Park, lunch at their favorite sushi restaurant, watching the fog blow in off the bay. It's enough... it's more than enough to face down her challenges with confidence. From the incomparable Allen Say comes another moving story taken from his personal experience and translated to the universal. This tale, dedicated with love to Say's daughter, is one for all parents who want their children to feel pride in their heritage, and to know their own greatest sources of strength and inspiration.